Have you ever been curious, really curious, about the rules, traditions and dogmas you follow? Have you ever take time to analyze or think through some of the “rules” given to you by your school, your parents, your religion, your society? 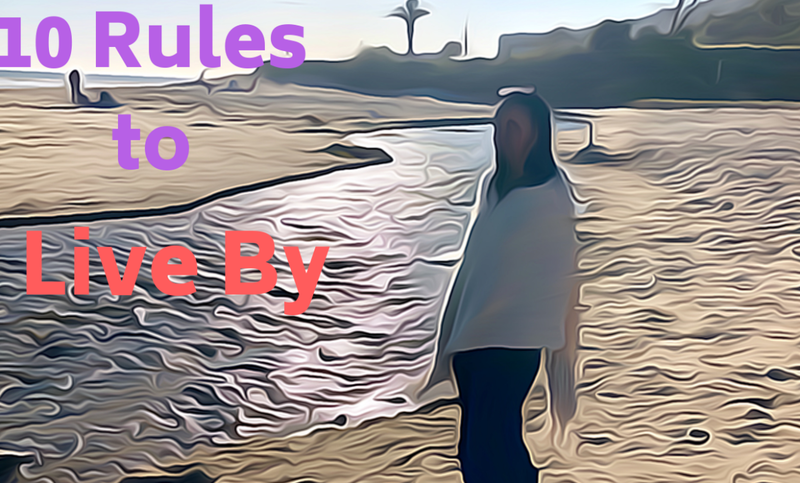 Do these rules work for you? Do they make you a better, kinder, happier human? Do they negatively affect others around you (who deserve as much happiness and peace as you do)? I ask myself these questions regularly and come up with my own set of rules to live by based on my experiences and the curiosity that makes me ask others about their own. I truly believe that natural curiosity makes me a more compassionate and understanding member of the human species. Here are the 10 ones I have been contemplating for the last few months and wanted to share them with you, in hopes they help you build your own. Enjoy! Rule 10: Be a lifelong student. Every day, find a new lesson to enrich your life. So glad you enjoy them!